Wilderness First Aid is 16 hours (2 8-hour days) which focuses on practicing skills and covering: patient assessment, shock and bleeding, head and spinal injuries, wounds, musculoskeletal injuries, heat and cold illnesses and includes a half day of outdoor scenario practice of first aid and leadership skills. 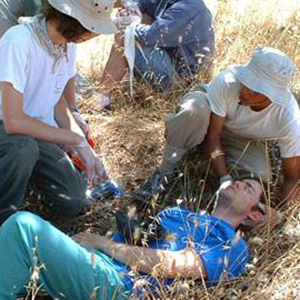 Gain some good tools and knowledge to handle a wilderness first aid emergency. Successful completion of class includes a Wilderness First Aid certificate. See https://www.fostercalm.com/ for more information.